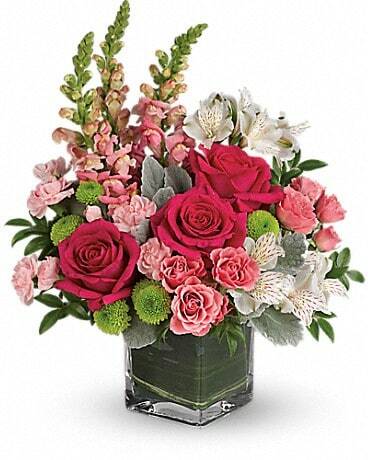 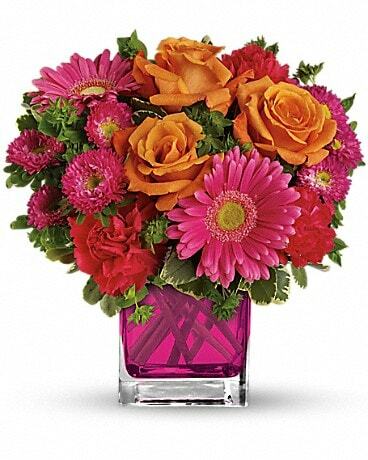 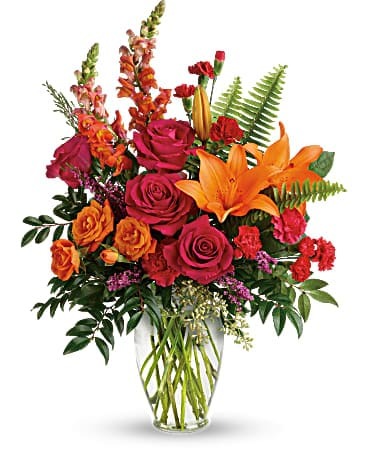 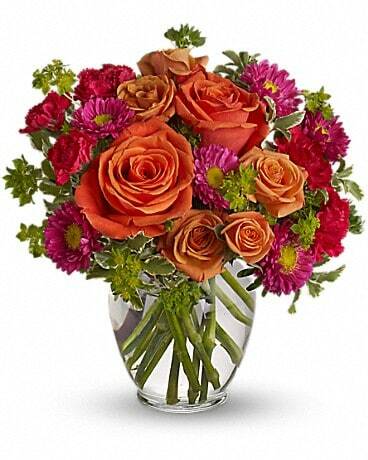 Like an exotic vacation, this gorgeous bouquet delivers the spirit of adventure. 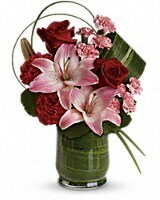 It's a unique mix of lilies, leaves, and lily grass arranged in a chic leaf-lined hurricane vase. Rich red roses whisper of romance.